Over the years, however, applications like Microsoft Outlook have grown in sophistication and refinement to the point where they really can help you do your job better, and take some of the pressure off. Outlook is now a mature and fully-fledged assistant for you; learning to exploit its capabilities will help you make the most of your time and simplify and automate other office tasks that until now have been tediously manual or just impossible. In our experience, Microsoft Masterclass delegates save an hour every day using our Outlook tips. That’s five or more hours a week – half a day given back to you to do other things! Pull an email into your contacts to create a new business card. Press Insert button to flag your emails. Press Ctrl and Enter to send your email straight away. You are going to love this. Instead of all that palaver toggling between an email and a new contact window, copying and pasting individual snippets of information from one to the other, which seems to take ages (and then sometimes copy or paste doesn’t work), we’ll show you how to add a new contact, plus any relevant information from their email, in less than two seconds! You won’t believe how much time this will save you. Most of us have emailed a letter to invite delegates to an event. How about doing the merge direct to email instead? That’s right: send personalised emails to hundreds of people from one email message. No more anonymous ‘Dear All’ emails with the recipients dumped in BCC: after this course! PAs are invariably inundated with tasks from their bosses, other managers, colleagues etc. How do you keep track of and prioritise them? Simple: you learn how to use the tasks function in Outlook to track EVERY task seamlessly. This session often leaves delegates literally speechless! You get a call from a client who wants to meet your manager. You give yourself a crick in the neck as you try to match your boss’s calendar with your caller’s availability. Outlook provides a beautifully clear and easy way to view multiple calendars and dates hands-free! Colour code incoming emails so you can see at a glance when your manager emails you. Send out standard emails with just a few keystrokes. Learn how to colour your appointments automatically without using categories. Create multiple email auto-signatures for multiple managers. Find out how to use voting buttons; a brilliant function when you have standardised responses. This includes such incredibly useful rules as diverting CC’d emails to your boss into a separate folder so she can quickly scan them; automatically printing certain emails; making sure you never forget an email attachment ever again. Link contacts into ad hoc groups, such as from management and project teams. This is an excellent example of how Office can take some of the load off your shoulders. Your boss has asked you to invite 1,000 people to the Christmas party – how are you going to do it? Easy: enable Outlook’s voting buttons in the invitation email, creating separate folders for ‘Accept’ and ‘Decline’ replies, setting up rules to divert the responses into the right folders. Auto replies can also be set up so ‘Accept’ replies are sent an email with the venue, map and timing details while ‘Decline’ replies are sent a simple ‘Thank you’. The beauty of this is that once it is set up – which really is easy to do – you won’t have to lift a finger. Sounds great, doesn’t it? And just think how much time it can save you. This Time Management course focuses on using Microsoft Excel, Word and PowerPoint to save you time. As with all computer-based office tools, we tend to use familiar features and functions and ignore the rest. You will learn how to really use these effectively to produce amazing professional documents, spreadsheets and presentations, and with the use of our breath-taking shortcuts, it needn’t take you hours! Many office professionals use Microsoft PowerPoint frequently, but few use this program to its full potential. To illustrate, have you ever struggled to line up your images in your slideshow? Next time press shift + F9. This will display gridlines for you to line objects up perfectly. What else will you learn on the day? Formatting and working your workbooks. All Today’s PA delegates are asked to evaluate the Microsoft Masterclass as it finishes. Delegates regularly give us 5 out of 5, and 1 in 6 have said it’s the best course they’ve ever attended. With the rapid advances in technology, Paul has specialised in helping PAs to utilise this technology to save time and reduce stress. He covers all Microsoft Office products at all levels. He is a Microsoft Office Specialist Master. With a post-graduate degree in business studies, few, if any, trainers are better qualified to deliver and lead the Microsoft Masterclass for Today’s PAs – for you. Your investment is just £950 + VAT. Investment for non-profit organisations is £850+VAT. When you commit your valuable time to this Microsoft Masterclass, we want you to know that we understand and recognise that commitment. We want to do everything we can to ensure that the Microsoft Masterclass is thoroughly worthwhile for you. Being properly prepared will play a key part in achieving that success. Indeed, your success is our success. If you get what we promise from this course – and we know you will – we are confident you will recommend it to peers and colleagues. So we would like you to complete a short questionnaire, just before you attend the Microsoft Masterclass, in order to give us a snapshot of the kind of person and PA you are, how you became a PA and what are your issues, frustrations, hopes and ambitions. When you arrive at the Microsoft Masterclass, you will feel that you are among friends who understand you – and you are because your trainers and course designers have all been where you are now. Doesn’t that give you a warm, fuzzy feeling? You may wish to have a look at this article on PAs from Wikipedia. To train or not to train? Why bother? 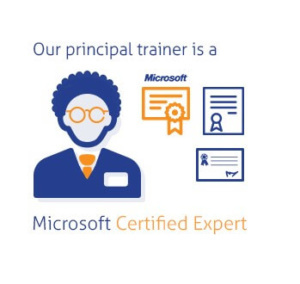 Both inexperienced PAs and the seasoned EA veteran will benefit from our Microsoft Masterclass. We will show your PAs that computer is the best and safest place to store their tasks, projects, lists, thoughts, and anything else they cannot afford to lose or forget. They’ll also be able to keep track of them efficiently and effortlessly, become more organised and automate those tedious, mundane and time-consuming tasks. We will show your PAs amazing tips and shortcuts across Outlook, Excel, Word and PowerPoint, that will absolutely transform the way they work and save them up to 1.5 hours per day. Imagine what they could do with all that extra time! It’s not unusual for our PAs to get in touch with us after the workshop, and report a newly found sense of certitude and satisfaction at work upon their return to the office. This positivity can only mean amazing things for you too! Why choose this Microsoft Masterclass? What makes this Microsoft Masterclass stand out from all the others is mostly that it has been created by PAs and is targeted directly at PAs and other admin professionals. 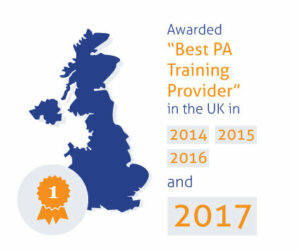 Not only will your PAs be receiving the very best in training from us, but they will be surrounded by a wealth of knowledge and experience in the form of the other PAs present. They will feel positively spoilt by this rare training and networking opportunity, and will return to work feeling confident, empowered, motivated, and of course with completely current expertise. Group work and discussion are encouraged throughout the workshop. We don’t simply talk at our PAs; we involve them, listen to them and work with them. We make sure your individual PAs needs are met. We know, that with so much valuable information to impart on our PAs, there really is a lot for them to take on board. That’s why we’ve gone that extra mile to ensure that your PAs really takes away as much as possible from this workshop. We provide them with easy to navigate, comprehensive hand-outs, covering everything discussed in the workshop, and much more. As a graduate of this workshop, your PA will become a lifetime member to our PA network; no question too big or small, we are always at the other end of the phone or email, ready to help. Even if you can’t make it to one of our venues, don’t despair – why not let us come to you? There are many good reasons for keeping the Microsoft Masterclass in-house: it makes for greater efficiency and ensures everything is focussed on your organisation’s business. The course can be adapted to your organisation’s specific needs so that it perfectly aligns with its culture and values. I just wanted to say a massive thank you for the training you gave on Outlook at AHDB. I have embraced the training wholeheartedly … and you will be delighted to hear using ‘tasks’ every day. I have passed on some of the training to work colleagues, who love ‘QuickParts’ and the calendar shortcuts. I hope to be involved in some of the other training that you offer soon. Thank you also for the certificate. Thank you once again for yesterday's session Paul - honestly think it was the best days training I have had. I now can't wait to put aside time to get things straight in my head and all set up and running! More efficient emails: I now have a 3 min delay and now never send emails without the attachments. The best email in the world: I send this when planning our Christmas parties. Okay, it takes me about 45 minutes to write up the email and all the possible replies and to make the rules but once it is done, I don’t think about it again. Regular meetings with my boss: I knew I needed these but seemed to be happy enough to just wait until he suggested it. Attending the course gave me the confidence boost I needed to tell him that I needed it. We now catch-up weekly and I know which meetings need to be attended and which can be delayed.